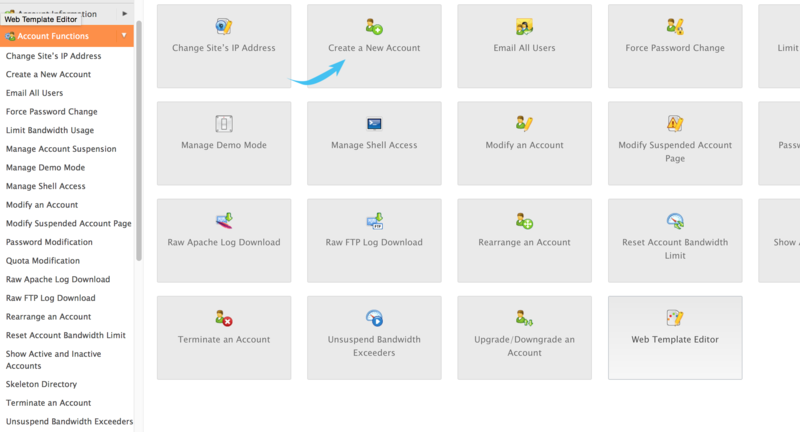 If you have created your package it is now time to create your account, if you have not created your package you will find a guide how to do this. Otherwise, log in to your WHM with the information you received in your e-mail from us. 1. 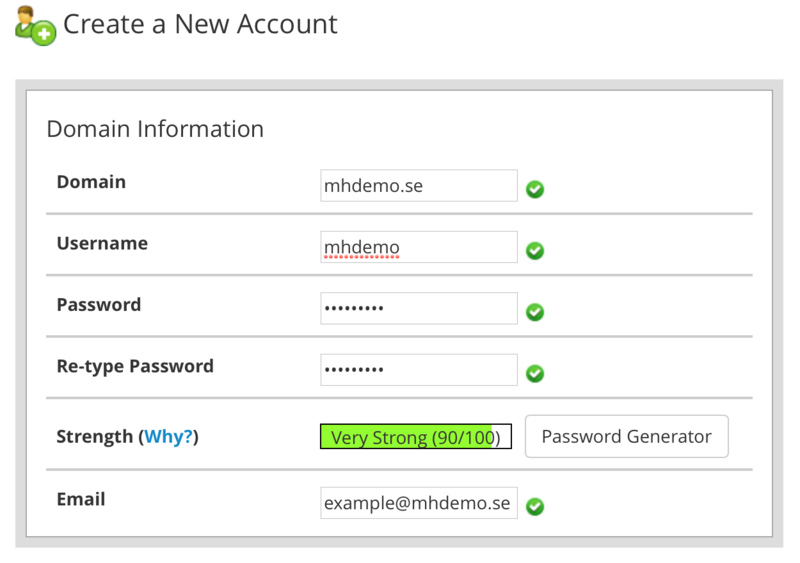 Click on "Account Functions" and "Create a New Account". 2. Now fill in the information on the account, you need to fill in all the fields under "Domain Information". 3. 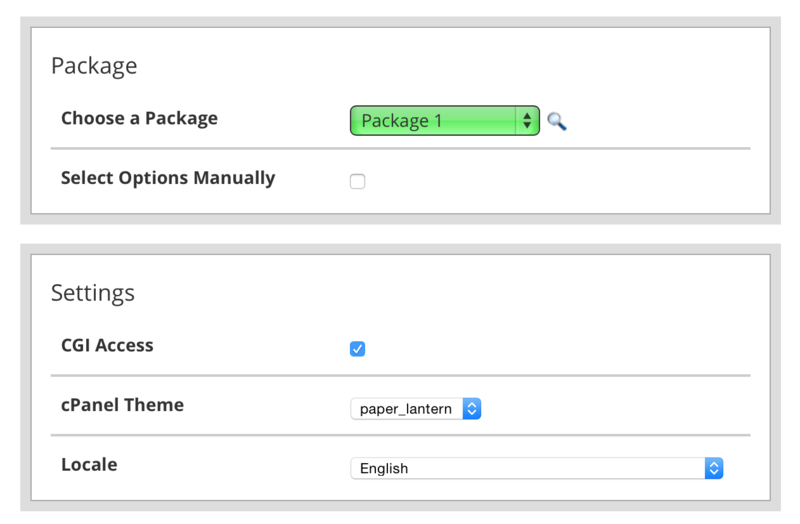 In the "Package", select the package you created in the wizard before, in this example we have chosen "Package 1". Under "Settings" retrieves the information automatically from your settings in the package, change nothing here. 4. Under the "Reseller Settings" don't click in anything here. 5. 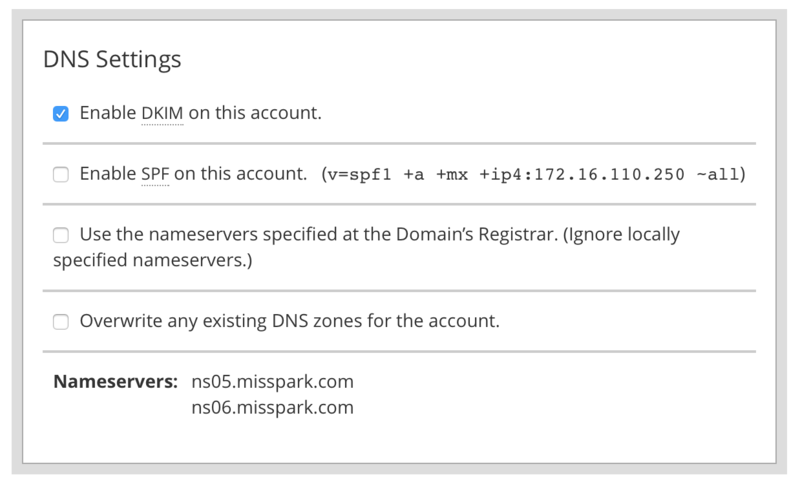 In the "DNS Settings", fill in the "Enable DKIM on this account.". 6. 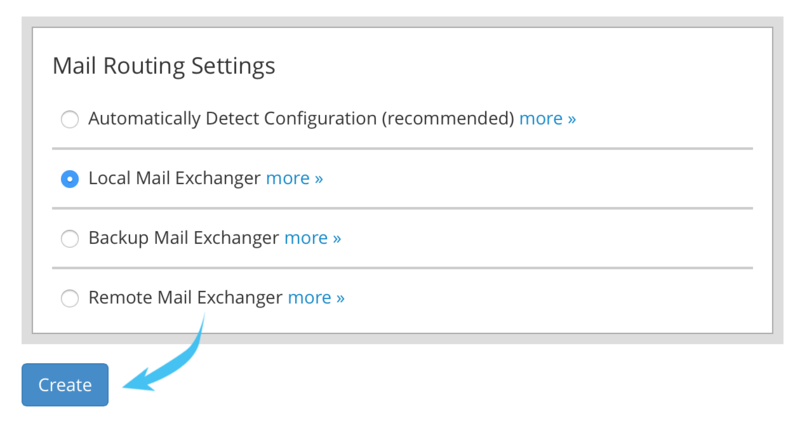 The last one you choose, "Mail Routing Settings", select only the "Local Mail Exchanger" and then click "Create". Your new account is now created.